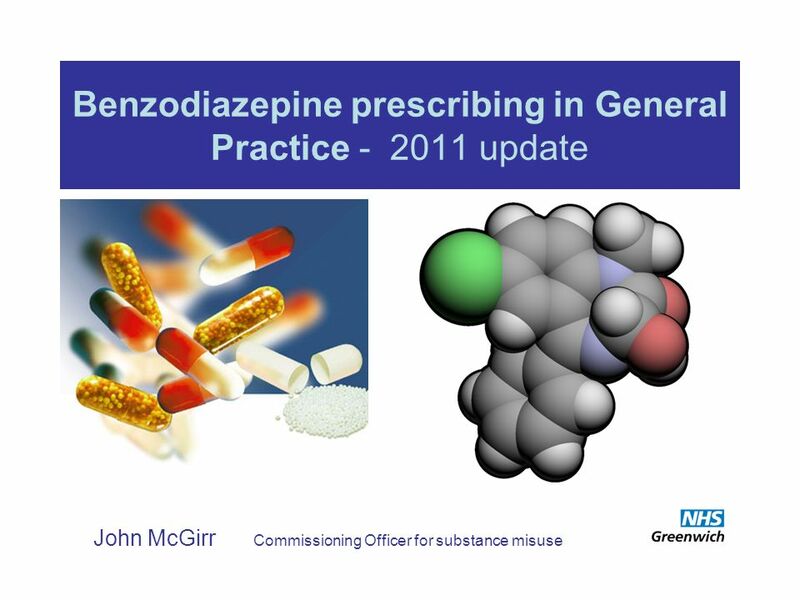 Benzodiazepine prescribing in General Practice - 2011 update John McGirr Commissioning Officer for substance misuse. 10 Benzodiazepines and Z Drugs Causal factors for dependence : High dose prescribing (+30mgs daily) Longevity of prescribing (+14 days) Shorter-acting benzodiazepines (e.g. 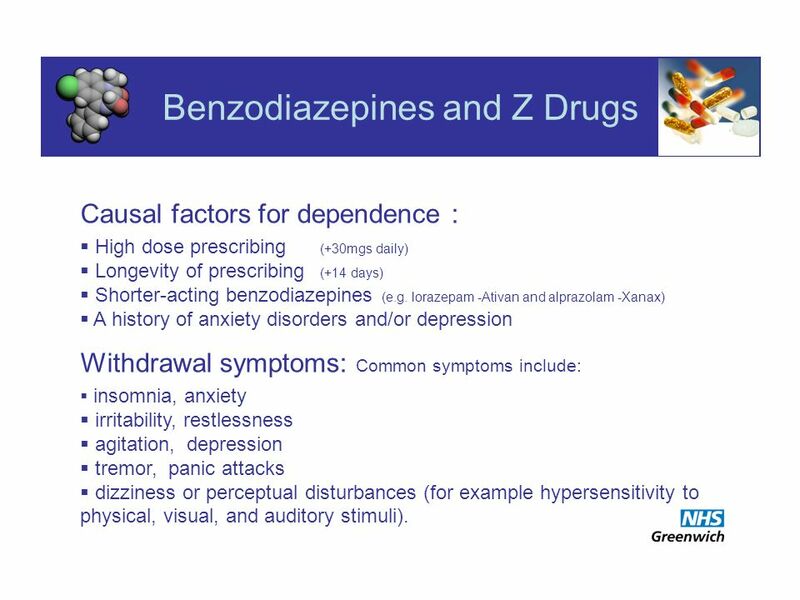 lorazepam -Ativan and alprazolam -Xanax) A history of anxiety disorders and/or depression Withdrawal symptoms: Common symptoms include: insomnia, anxiety irritability, restlessness agitation, depression tremor, panic attacks dizziness or perceptual disturbances (for example hypersensitivity to physical, visual, and auditory stimuli). 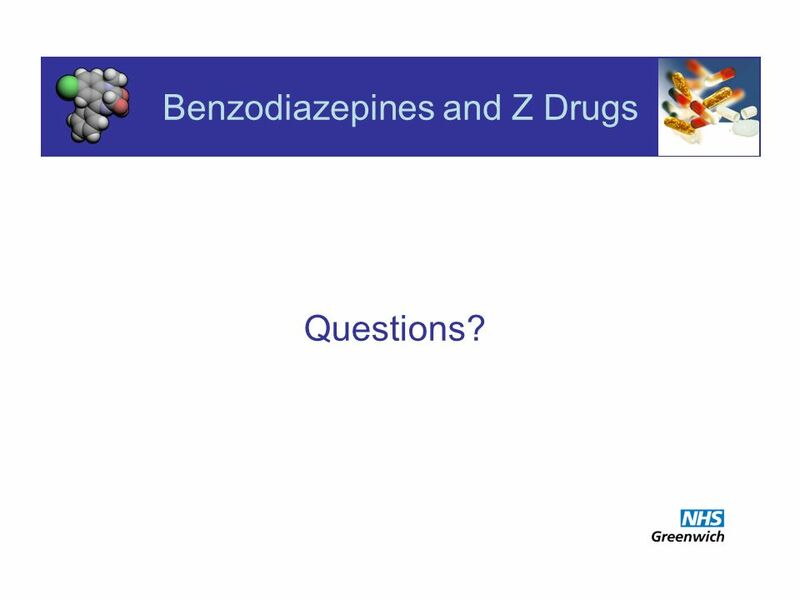 25 Benzodiazepines and Z Drugs Questions? 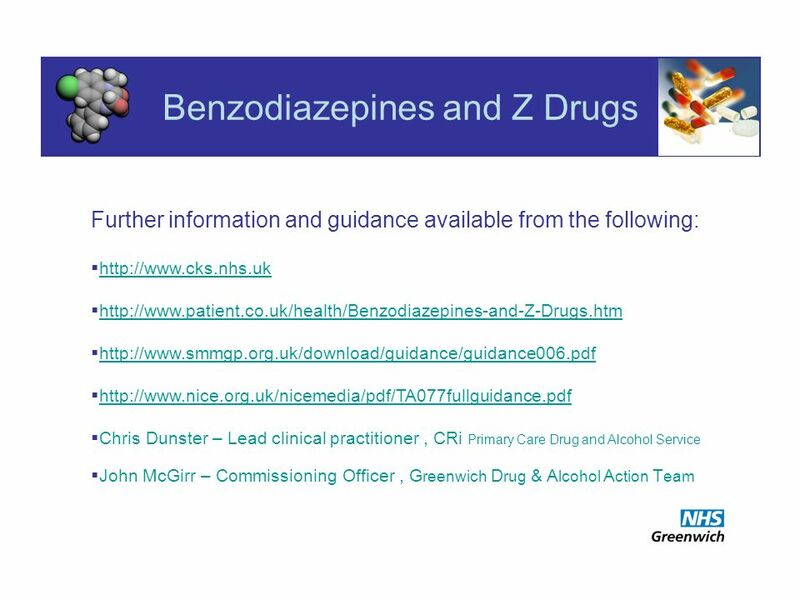 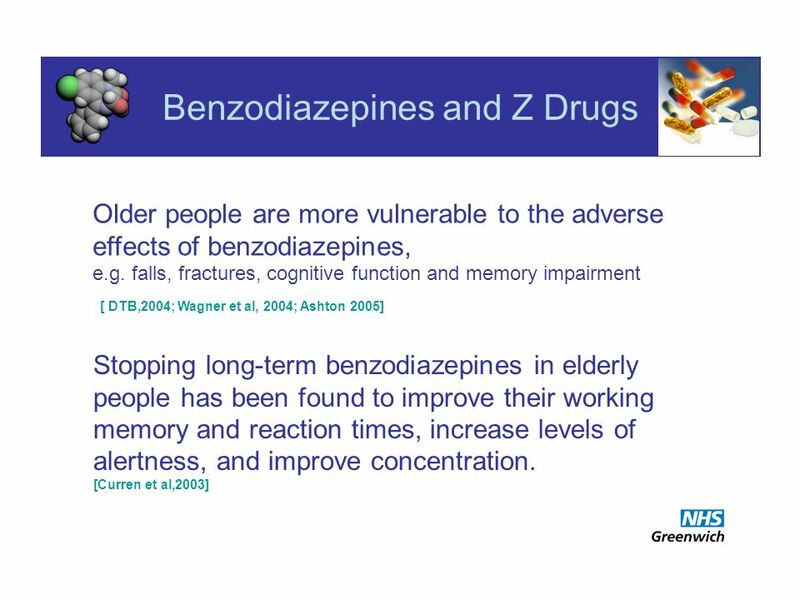 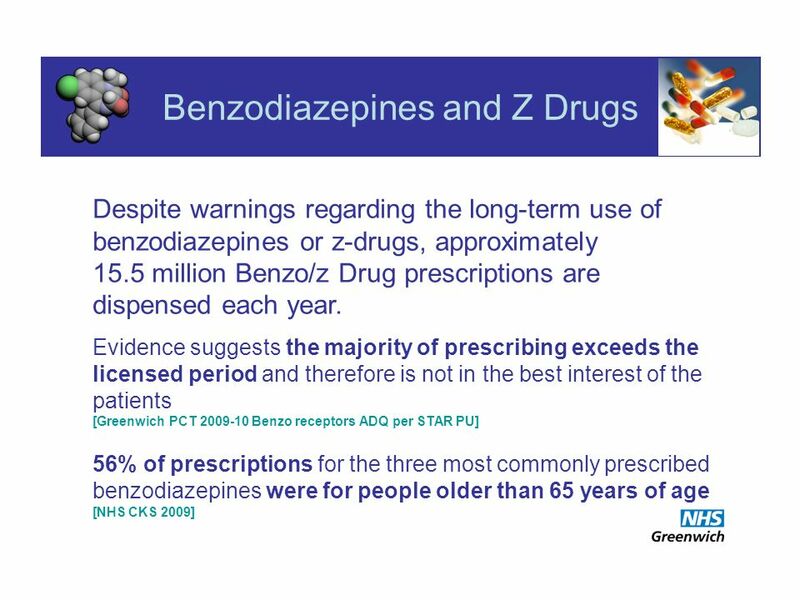 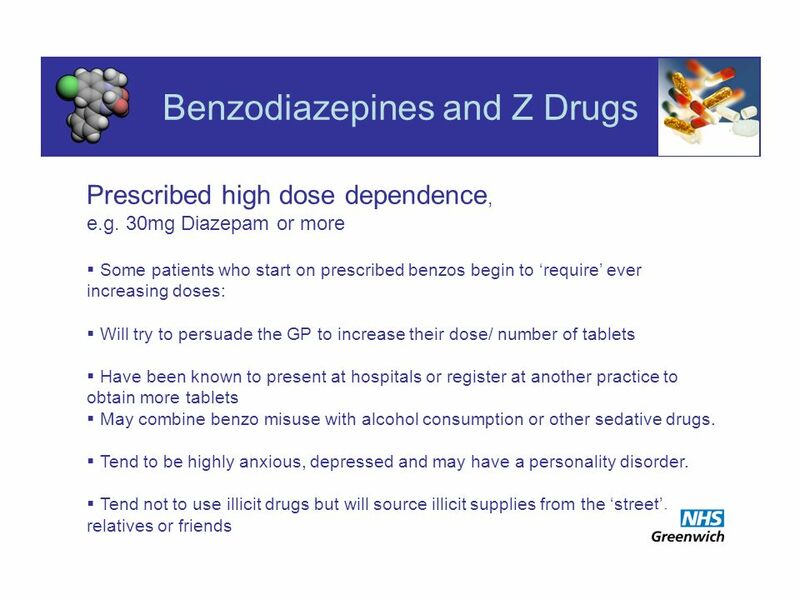 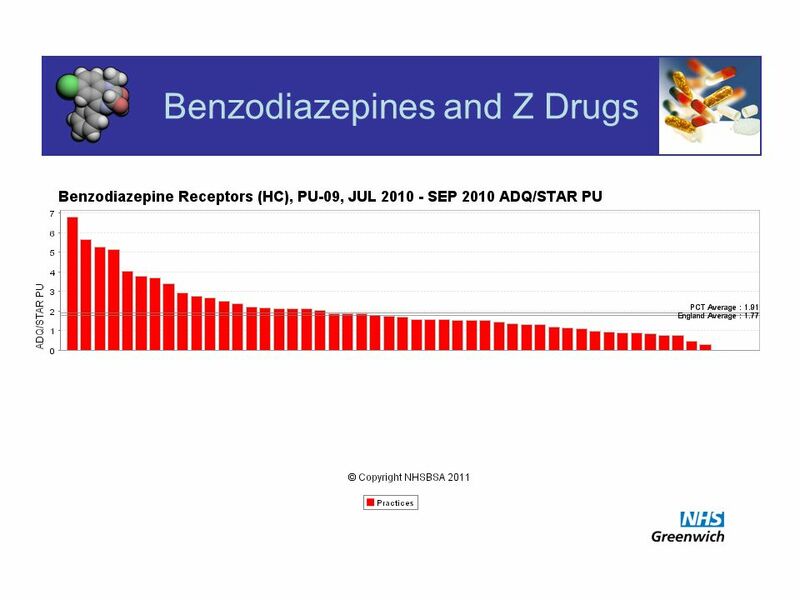 Download ppt "Benzodiazepine prescribing in General Practice - 2011 update John McGirr Commissioning Officer for substance misuse." 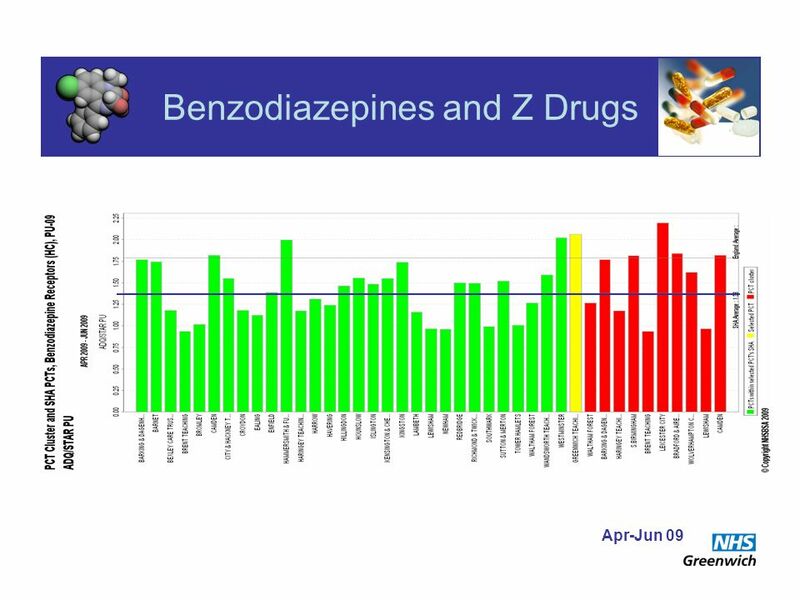 TRI science addiction Lost Opportunity? 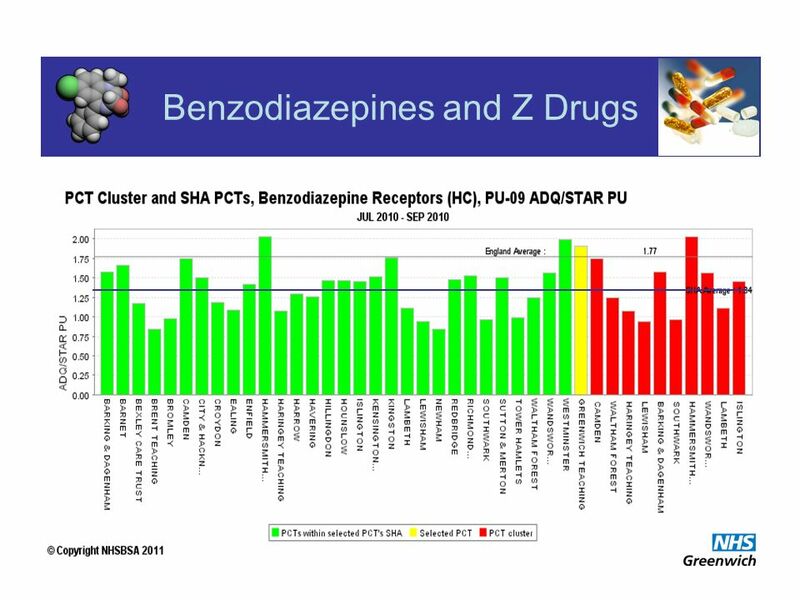 SBI for Substance Abuse In ERs and Trauma Centers Academy Health Mady Chalk, Ph.D. 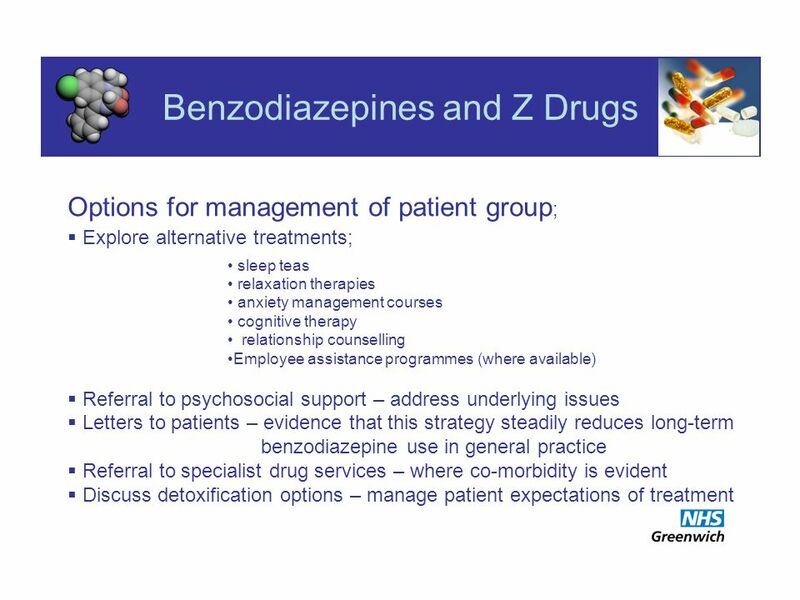 Treatment Research Institute. 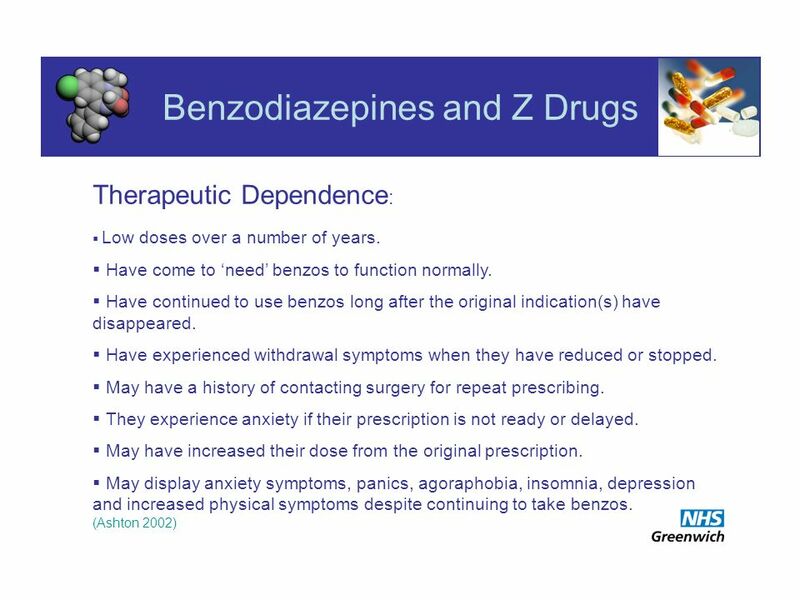 What to do about those benzos?!? 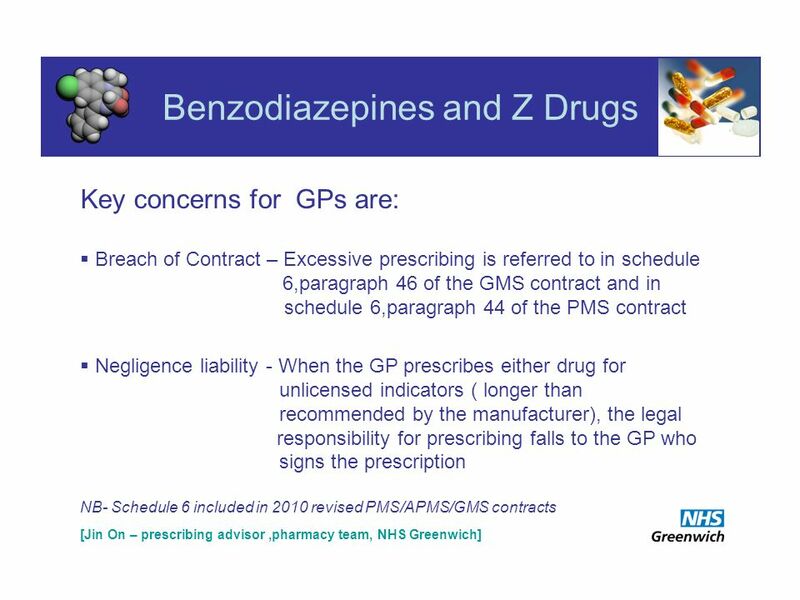 Chris Ford GP & Clinical Director SMMGP 4 TH West Midlands Conference Birmingham 25/06/10. 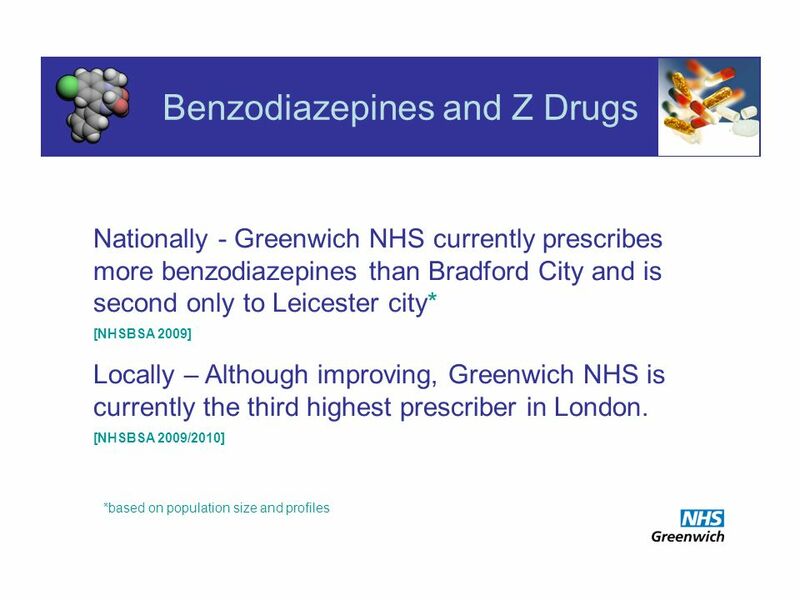 1 setting standards for prescribing Dr Keron Fletcher. 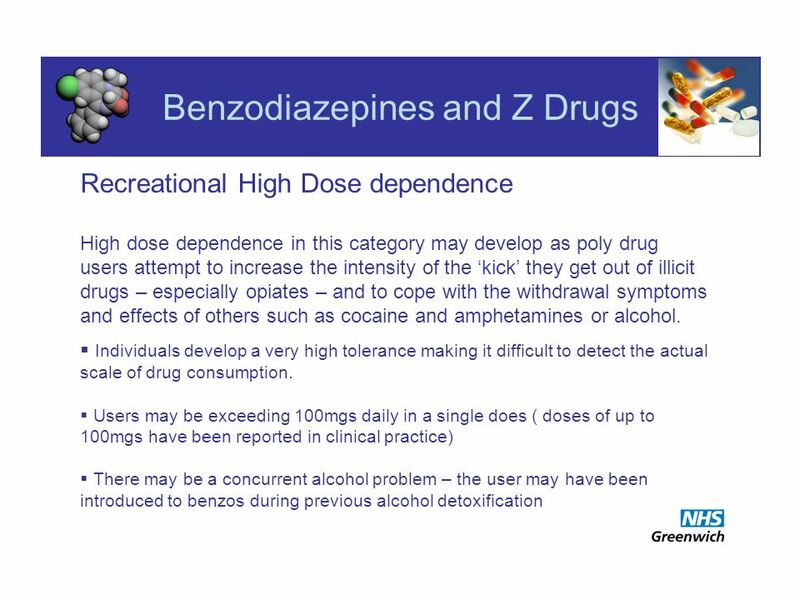 Introduction to Drug Misuse Les Goldman. Objectives Gain basic knowledge of Common current patterns of drug misuse Local referral pathways Available treatments. 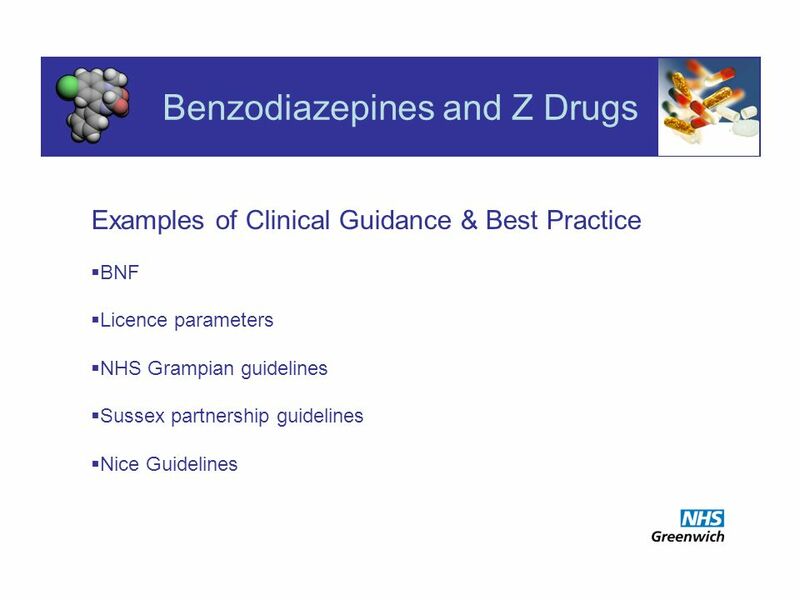 Alcohol misuse - a GP approach 1. 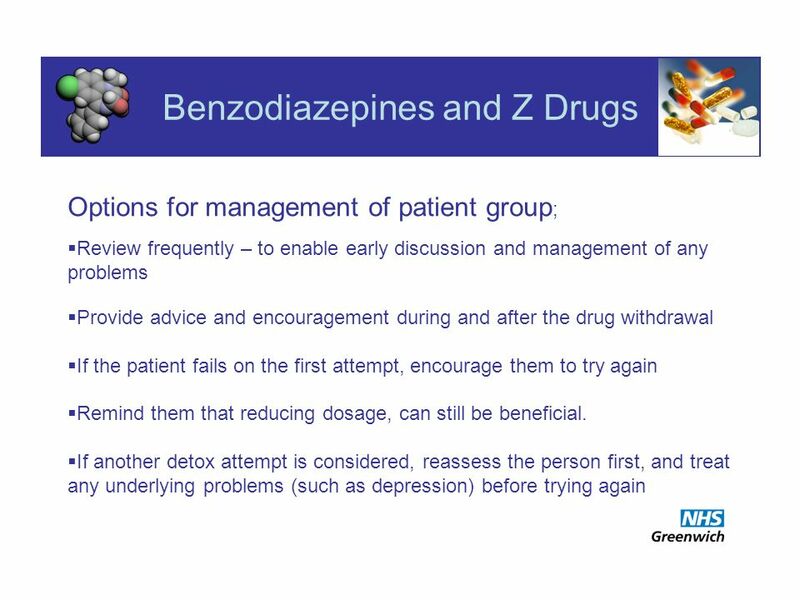 2 Objectives Improve confidence in Detection Assessment Management of problem drinking Improve confidence in Detection. Chapter 9: The relationship between physical activity and anxiety and depression Can physical activity beat the blues and help with your nerves? 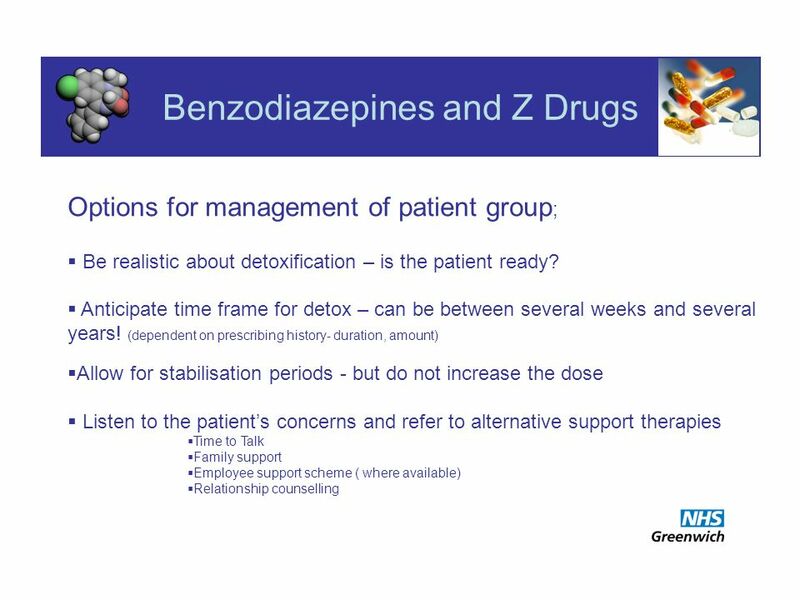 Dosing and patient management requirements during induction, stabilization, and detoxification with buprenorphine Matthew A. Torrington MD Clinical Research. 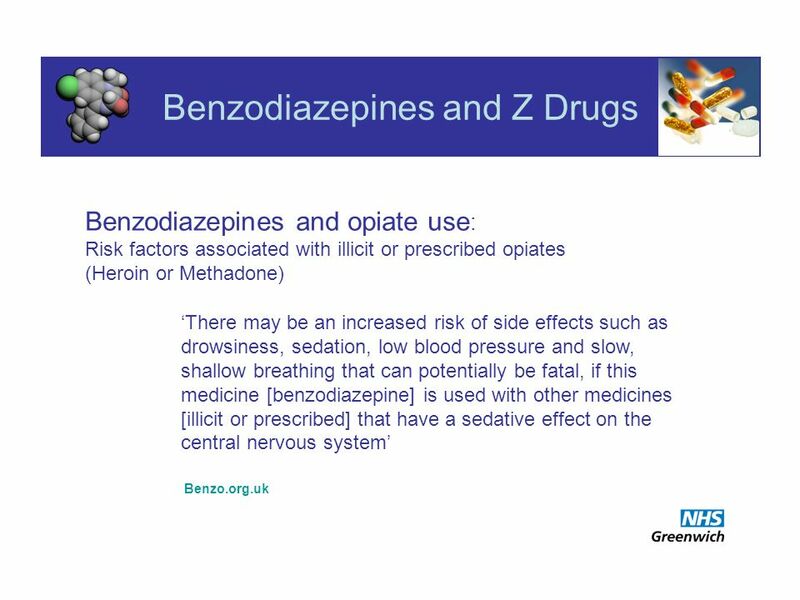 Benzodiazepines and risk behaviour Graham Mackintosh Critical Incidents Training Officer Scottish Drugs Forum. Benzodiazepine Prescribing in Primary Care Jeff Rudman Benzodiazepine Prescribing in Primary Care Newton Rigg Jan 2008 Jeff Rudman Cumbria PCT GP Prescribing. 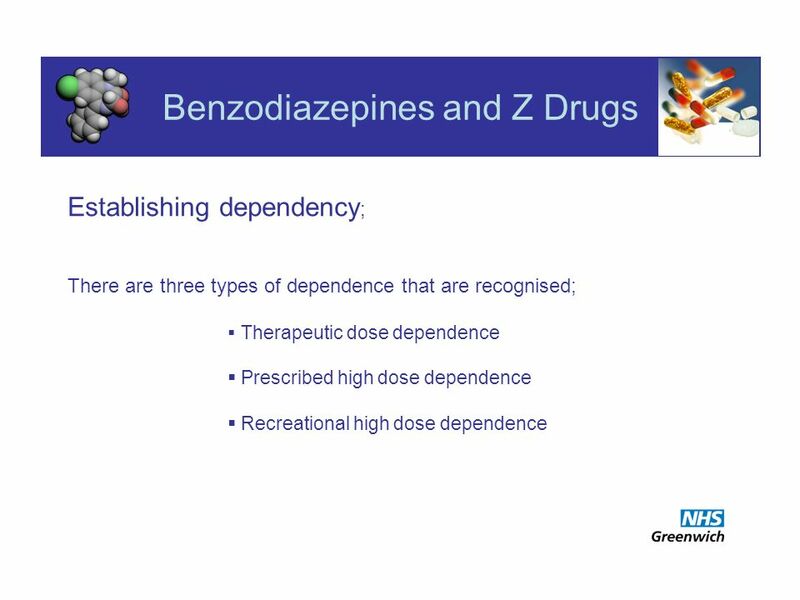 Benzodiazepine dependence in primary care Aisha Bhaiyat 13 April 2010. 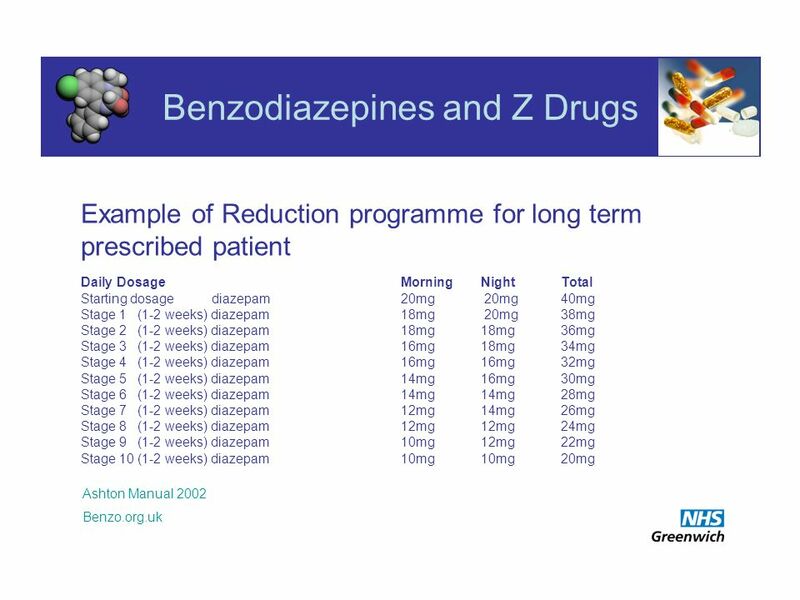 Prescription Drugs This Lesson Plan Produced By Your Drug Demand Reduction Program 1.